Hello all! There will be a special art event this Thursday at Four Seasons Gallery in Homewood. 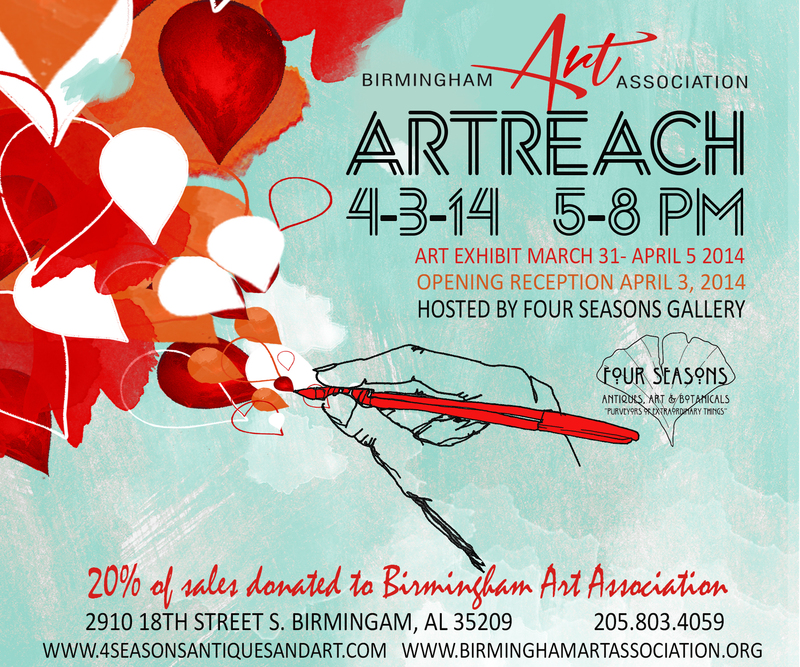 The event will feature artwork by Birmingham Art Association members and 20% of the proceeds will benefit the BAA. The reception begins at 5 and the first 50 guests will be entered to win a free work of art! Loosely applied, basically just blocking out the different areas of the picture. At this point I’m trying to close my eyes to detail and just get blocks of color in place. I didn’t even work too hard to cover up my base color, since I want that warmth to ultimately show through. February in Alabama is wet, cold, and grey. A perfect recipe for malaise. Will I hibernate? Will I huddle under the covers and whine? Will I crawl into bed with a pan of lasagna and try to get as fat as possible? Not this kid… not anymore at least. Let’s get back to work. And this time I think I’ll try things a little differently. Gamblin’s Solvent Free gel mixed with transparent earth orange (about 50/50). The underpainting acts as a value study- letting me study the dark and light areas of the painting and decide if the composition is interesting enough to stand on its own without the color. 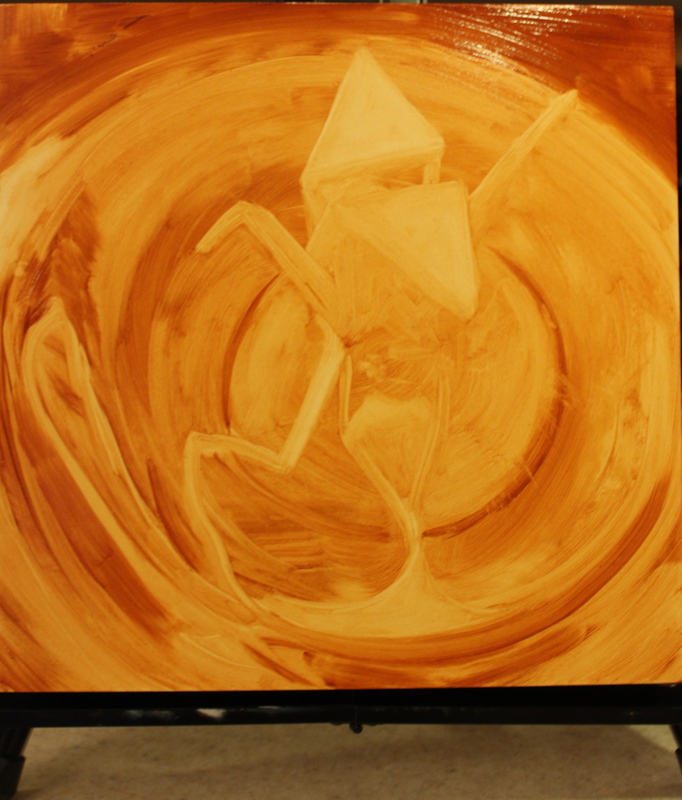 The paint/gel mixture is applied to the entire canvas (or in this case primed panel) with a large brush, then, using a t-shirt rag I rub out the lighter parts of the painting, using varying pressure to get the gradations of value. Stay tuned for more… unless I go back into hibernation mode. Then you can find me on the couch with a pot of chili.